A look at the current Broadway revival It’s not as popular as Wicked or as well known as Phantom or as scandalized as Spiderman but this equally riveting musical, Follies has something the rest of them do not—Stephen Sondheim. This 81-year-old Broadway legend has a long history of creating masterpieces: West Side Story, Into the Woods, and Sweeny Todd (among many others). His current revival, Follies lives up to his name. Sondheim has been named by many as the greatest living composer of our time. No surprise there, since The Sound of Music composer, Oscar Hammerstein II, was his mentor. Sondheim is the recipient of the Pulitzer Prize, an Oscar and multiple Grammy and Tony awards. A nostalgic and striking glance at Broadway, this classic musical gives non-theatre-goers new appreciation for the life of a performer. Follies shows the lives of two couples as they attend a reunion of Weismann's Follies (a spoof of Ziegfeld follies). The Weismann's Follies theater is about to be demolished and as the couples catch up, old tensions arise. The musical, set in 1971, juxtaposes the lives of these couples as they look back nearly 30 years to their days as performers. Forgotten dreams, repressed love and lives lived plague the couples as they come to terms with the angst of age. While you may not come out of the theater singing one of the show tunes, Stephen Sondheims’ poetic lyrics are so intricately woven to reveal the depth of the characters. The static and imposing set, made to resemble a deteriorating theater, is haunting as it actually envelops the entire theater. This cast of Follies boasts such legends as Bernadette Peters, Jan Maxwell, Danny Burnstein, Ron Raines and Elaine Paige. Their gut wrenching performances are sincere, each portraying their signature folly with great believability. Jan Maxwell’s performance of “Could I Leave You” is of special poignancy and is one of the best performances in show. Director, Eric Shaeffer, places great emphasis on the “ghosts” of theater performers past, giving the musical a haunting aftertaste of reminiscence. 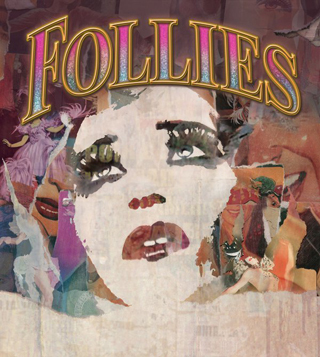 If you go and see any show this season, make it Follies. This near perfect revival has been lauded by the New York Times as “the greatest musical ever written” and rightly so. This is not a typical, happy-go-lucky musical. It has no popular theme song and no eye-popping special effects. Follies has heart, and a breaking one at that. The characters are not one-dimensional or stale, and the show is not a train wreck of cliché. Follies is real, honest and pure Sondheim. To get $37 student rush tickets visit the Marquis Theater (Broadway between 45th and 46th) the day of the performance when the box office opens.